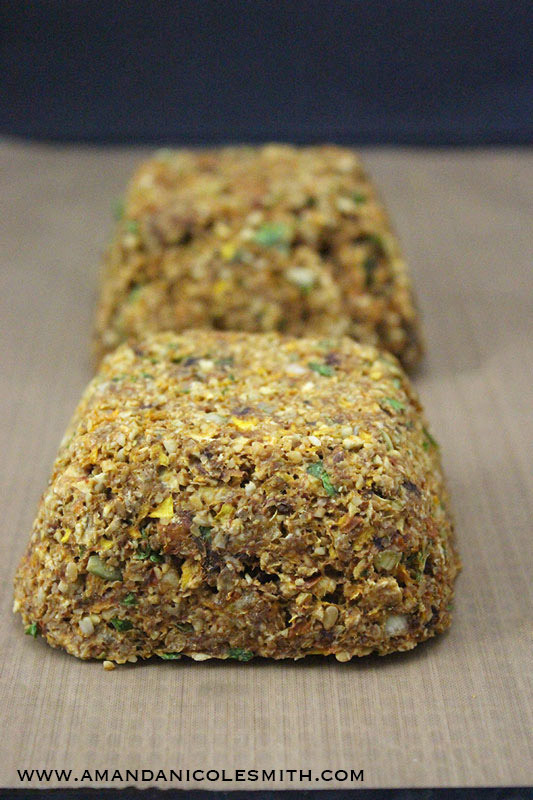 Raw vegan “meatloaf”, or raw veggie loaf to be accurate, is primarily made from vegetables, herbs, spices and sprouted grains. 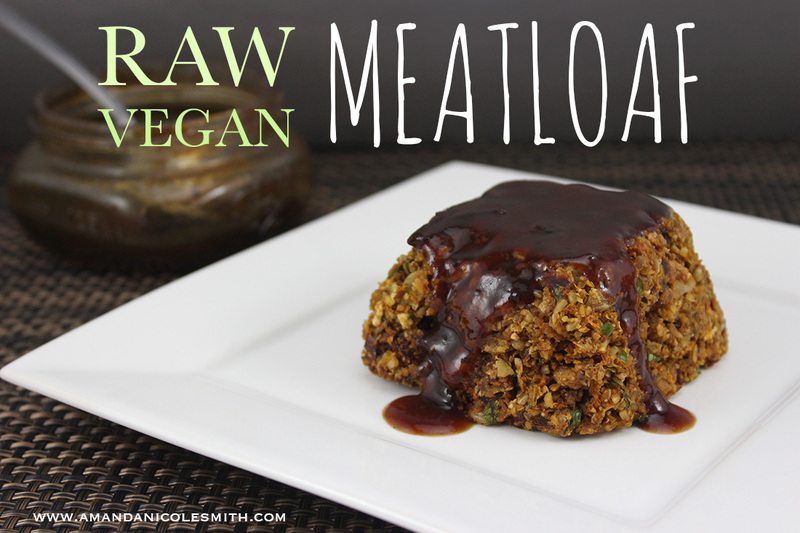 This hearty healthy meatloaf is full of flavor with a crispy outside and a perfectly soft inside. 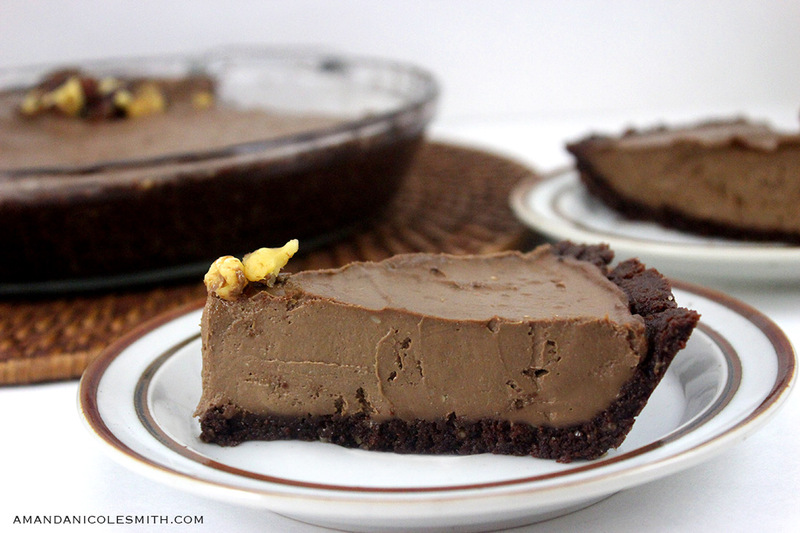 This recipe is even a winner for my non vegan friends! 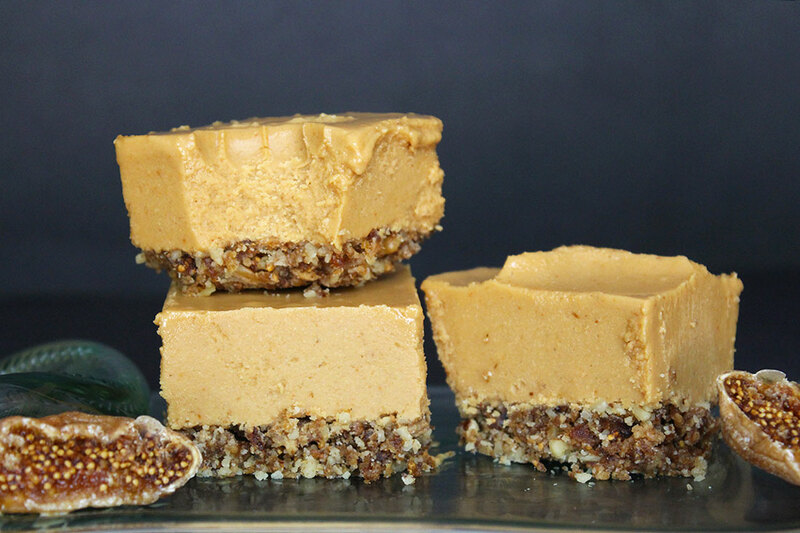 I wanted to make a raw vegan meatloaf that was nut free because not only do I know many people with nut allergies, but also nuts don’t dehydrate well because of their oils. 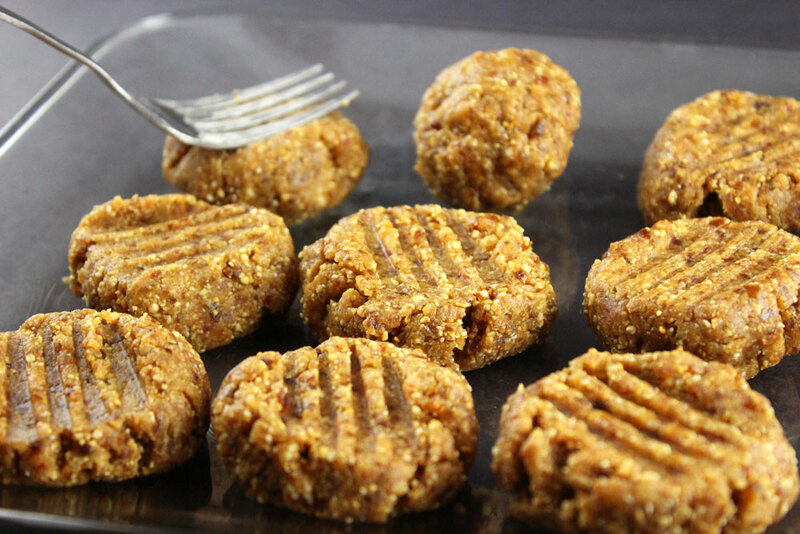 Seeds, grains and vegetables crisp when dehydrated, this enables us to make a thick meatloaf and still obtain that notorious soft and moist inside, without tasting “under-cooked”. 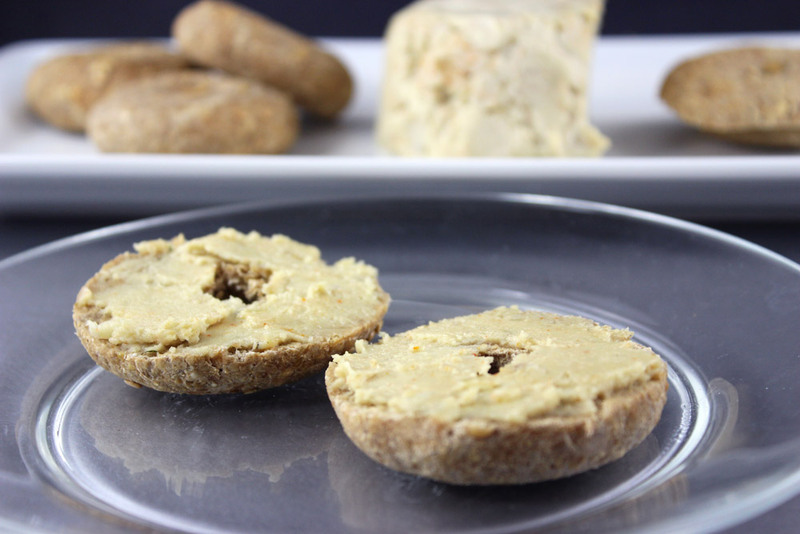 I love using my sprouted wheat berry essene bagel recipe for this meatless loaf but sunflower seeds, or oats can replace sprouted grains if you are gluten-free or if you don’t have time to sprout. Despite the 2-3 day wait time for the wheat berries to sprout, I still love the texture, taste and nutrition sprouted grains provide. I especially like using sprouted rye berries, it goes together perfectly with the caraway seeds. I’m telling ya the flavor on this meatloaf is incredible, your tastes buds will get a kick out of it. 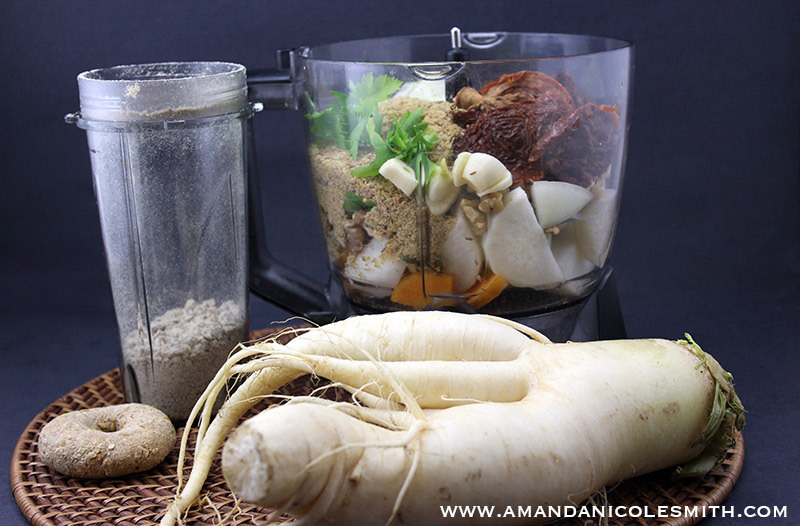 That big root is daikon radish, a mild winter radish, and can be found in most grocery stores. I found mine at my local farmers market. 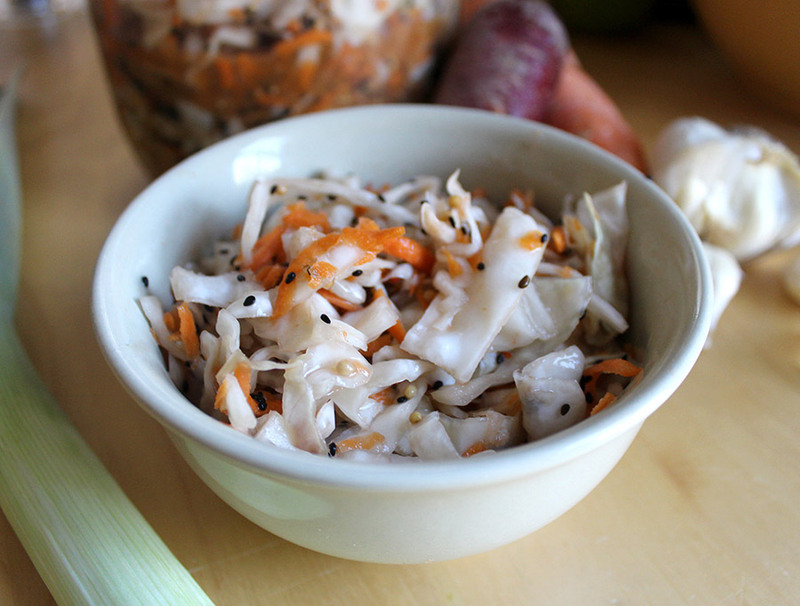 Daikon is sweet and mellow and the absolute best base for raw vegan dehydrated veggie “meat”. 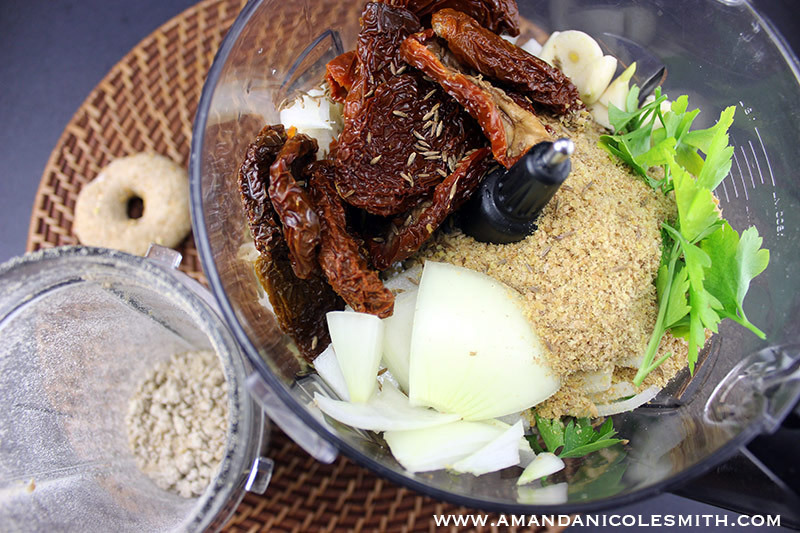 This is what all those yummy vegetables, seeds, spices, and herbs look like when all mixed up in the food processor! The great thing about raw food is that you can eat the “raw meat” because you could eat any one of these vegetables raw, and together they create a masterpiece of flavor. I left my mixture a bit chunky but feel free to process it a bit longer to achieve a smoother “meat”. 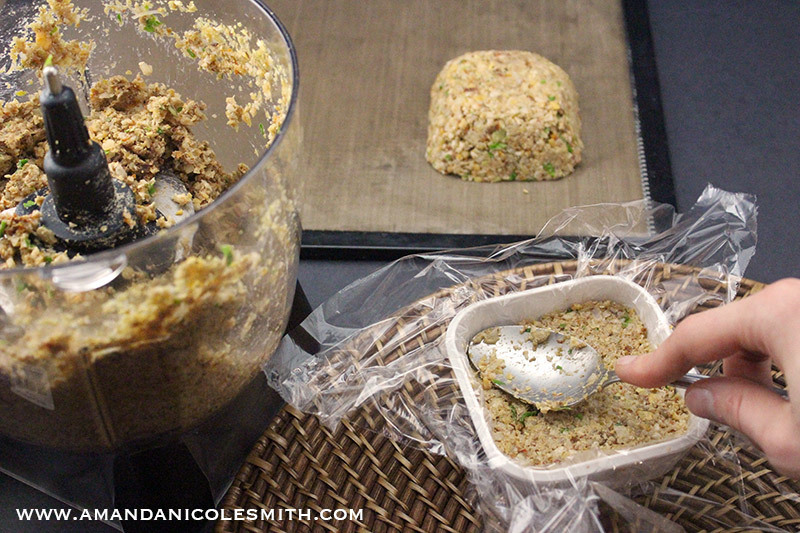 Then all you have to do is pat your mixture down in a plastic-wrap lined ramekin, flip it over on a dehydrator sheet, and pull of the plastic wrap; it’s too easy! 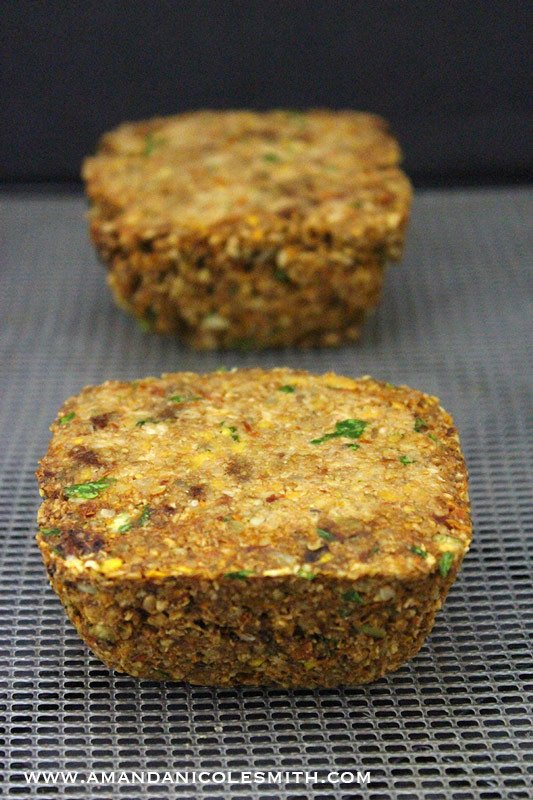 The “meatloaf” mixture will darken as it is “cooked” in the dehydrator. 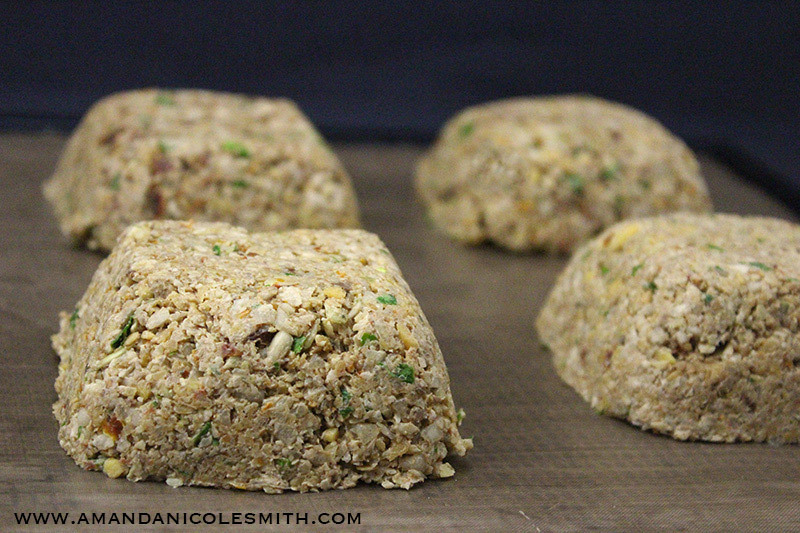 Once the meatloaf has slightly darkened, about half way through dehydration, you can flip the meatloaf over and place on the vented dehydrator sheets. If you work all day and don’t have time to flip them place your meatloaf on the vented dehydrator sheet to begin with so you don’t have to flip. When your “meatloaf” is done it will be crispy and dark on the outside and still slight moist and soft on the inside. I garnished my meatloaf with a bourbon cranberry sauce made from my local farmers but organic ketchup will do, or you could make a quick raw vegan ketchup using sun-dried tomatoes, onion, dates, water and spices. 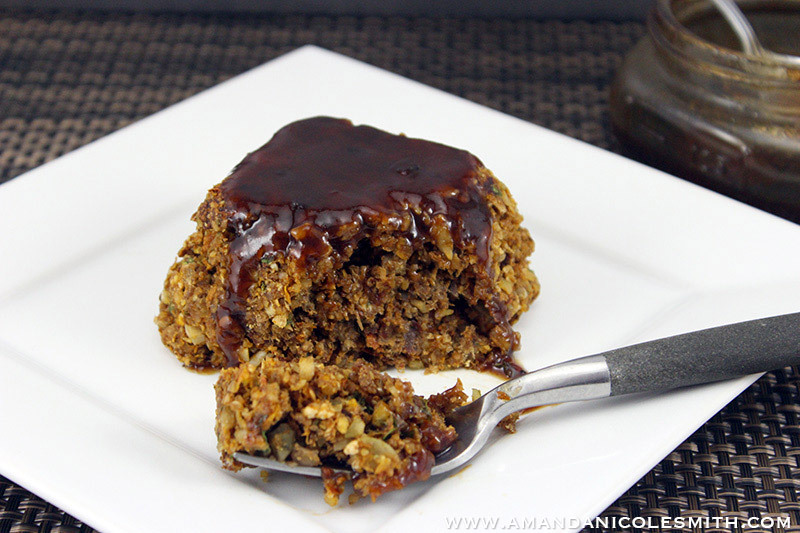 A flavorful moist meatloaf primarily made from vegetables, seeds, spices and herbs. Roughly chop vegetables for food processor. Grind flax seed, cumin, and caraway in spice grinder. 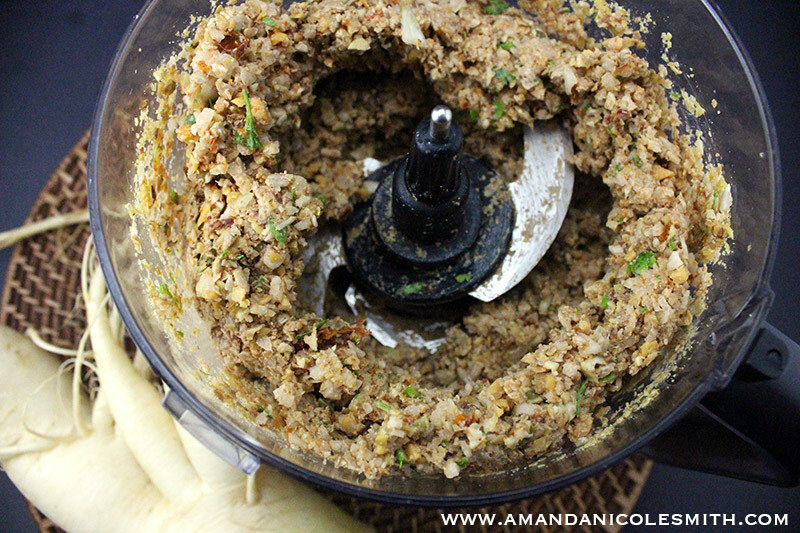 Add everything to a food processor and process until well chopped and mixed. Line a small ramekin or bowl with plastic wrap. Put in 1 cup of "meat" mixture and pat down with a spoon. Turn the bowl upside down on a dehydrator sheet and pull off the plastic wrap. 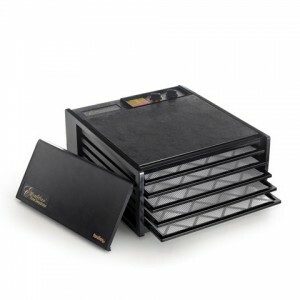 Dehydrate for 6-8 hours, flip once directly onto the vented dehydrated sheet. **Sprouted wheat berries can be substituted with more sunflower seeds. I used my leftover essene bagel recipe previously posted. 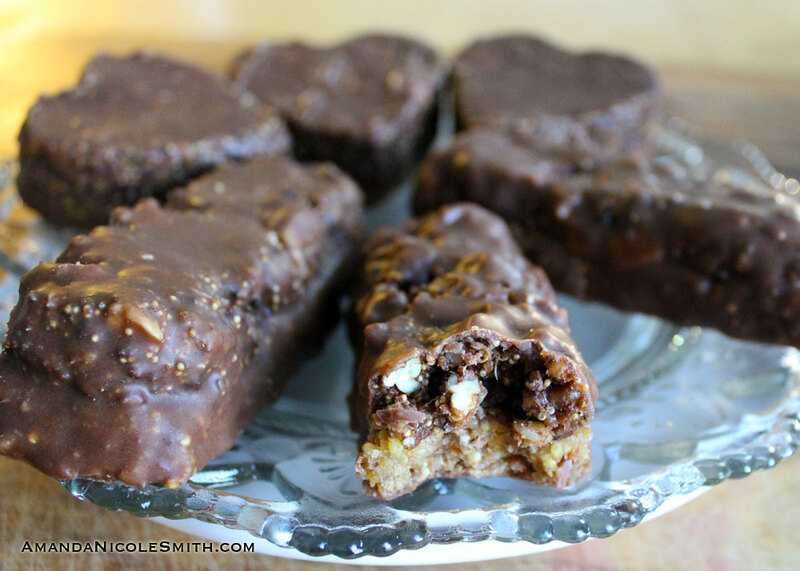 You could also use ezekiel bread if you are not too concerned with the raw status. Sunflower seeds can be replaced with walnuts. Stores up to 1 week in the refrigerator. 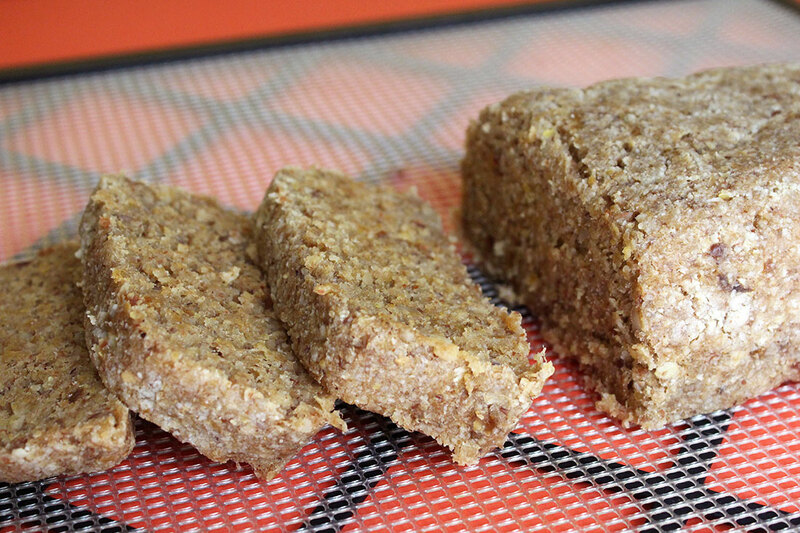 And there you have it a fairly quick and easy healthy raw vegan meatloaf. Let me know what you think in the comment section below I would love to hear how it turns out for you! Hi Amanda, what temperature should I dehydrate the Raw Meatballs? 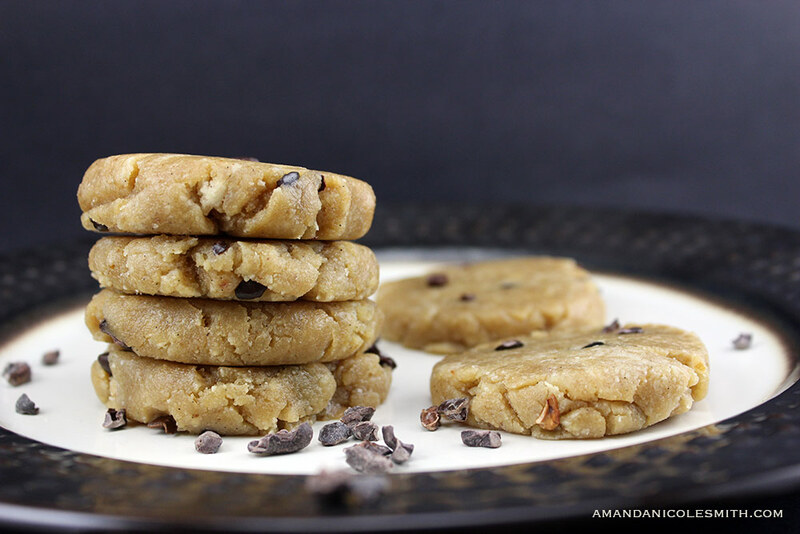 Hey LaShon, as a typical rule of thumb for most dehydrated raw recipes, I start with 165F to allow for water evaporation, the actual food won’t get that hot in that amount of time so it’s still raw, then I turn it down to 115F until done.